Richard Wayne Spiller, 79, of Ocala, FL. and formerly of Manchester, beloved husband of Violet Allely Spiller, died Monday July 11, 2011 in Ocala. He was born November 27, 1931 in Danvers, MA. son of the late Victor Harland Spiller & Lillian Rosalie (Lelacheur) Spiller Quinn and was raised in Salem, MA. Following graduation from Salem Classical and High School, he joined the U.S. Air Force where he served as an aircraft and engine mechanic on B-29 aircraft in the 37th Air-Sea Rescue Squadron in Japan and the Korean Theater of Operations. Later he moved to Connecticut where he met his wife of the past 55+ years, Violet. After raising their son Richard James Spiller currently of Las Vegas, NV. they moved to Cape Cod, where they remained until their move to Lake City, FL. in 1993. They have resided in Ocala for the past several years. Professionally, he retired as a Contract Specialist with Pratt & Whitney Aircraft in East Hartford after more than 33 years. Richard was proud of his accomplishments and positions including being Worshipful Master of Manchester Lodge # 73 A.F. & A.M. in 1969 and received his 50 year pin in 2010. He was Chairman in 1972 of the Manchester of Brotherhood in Action Group comprised of the Masons, Knights of Columbus and B’Nai Brith. 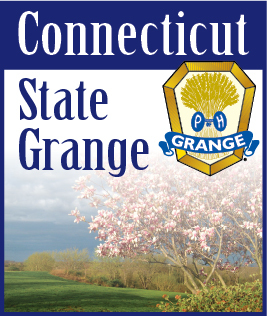 He was a Member of Manchester Grange and Past General Deputy of the Connecticut State Grange. Member and Past President of the Highlanders Theater Group on Cape Cod. Finance Committee Chairman of the Golden Adventures Senior Group in Johnsonville. NC. Bagpiper for many years in the Stewart Highlanders Pipe Band of Rockville. Member of the National Society of the Sons and Daughters of the Pilgrims as well as the National Society of the Sons of the American Revolution. In addition to his wife and son, he is survived by his sister Eleanor Virginia Spiller of Glencliff, NH. as well as three nieces and a nephew. Richard Wayne was a loving and devoted husband and father and will be greatly missed by all who knew and loved him. Funeral services were held Saturday July 16, 2011 at 11:00 AM at the Holmes Funeral Home, 400 Main St., Manchester. Burial with military honors was held in the East Cemetery. Calling hours were held Friday from 5-8 PM at the funeral home with a Masonic Service at 7:00 PM.